Social media is extremely accessible, free at entry level, and the main driver for why they are so universally popular. Simply by maintaining a minimal profile and engaging infrequently, it is possible to benefit from this kind of presence for little effort. This obviously begs the question: should you spend money advertising? There are variables here of course, such as whether you have the budget to spend money on advertising, but of course, people have to know you exist. 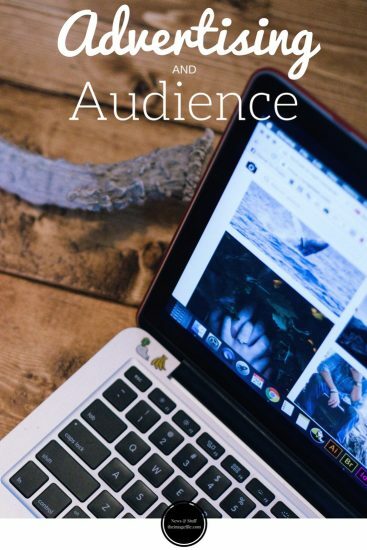 Social media provides a very free tool to enable this, alongside more traditional marketing methods such as printed press, events and shows and networks. It costs nothing to establish a profile on Facebook, Google+, Tumblr, LinkedIn, Pinterest, Intstagram or Twitter so this is your starting point. The trick is maintaining these profiles and crucially growing them into something usual. The money you spend will be the time you dedicate to this task, and this can mount up. Profiles on social media are like gardens or anything that requires nurturing. You reap what you sow. It also takes time to find your voice (more on this later) and grow your networks. Sales for any business relies on numbers and getting more prospects out there, based on the assumption that more leads will generate a win. Quality is also crucial in this equation, as it’s pointless aimlessly putting yourself about without a strategy or defined target area. With this in mind, social media enables you to search in targeted areas, find people and organisations who are your exact target market. Such as event companies, wedding venues, people who read wedding magazines, schools, photography organisations, camera equipment retailers, etc. The list goes on but crucially you can find these groups and interact with them, meaningfully. Just as with the off-line world, creating a sales pipeline from these social media channels is eminently achievable and measurable without the need for inputting data into a spreadsheet until it becomes a solid lead. This also provides you with a way to measure and adjust your approach to using these channels. Simple things such as contacting ten event companies on Twitter, following them, retweeting salient posts from their timelines and finding the right contacts via LinkedIn provide small daily targets that can be the beginning of your sales strategy. It means you are part of the conversation and generating awareness (PR). Social media and internet research generally will help you identify those companies you want to target quickly and from there it is your responsibility to work out an approach, on or off-line. Similarly, you can grow your individual customer communities on Facebook but it requires being proactive and providing relevant, useful information with which they will engage. The hardest thing in the modern world of the consumer is to hold an individual’s attention and social media provides the platform if used in the right way. Google+ is increasingly the more important, maybe the tortoise in the social media scene that ultimately wins the race. The search giant has the biggest share of that market and simply by creating a Google+ profile it immediately improves your search ranking. That’s one big reason to use it but there are others which highlight the recent issues with Facebook. By getting shares and likes on Google+, this also increases your all-important search ranking and helps you define your audience. People can choose to opt-in to your news through the use of lists of increasing circles of importance, giving you a very defined idea of who wants to receive your information. Instagram is important for obvious reasons – a visual window into both your work and work that inspires you. It is a great way to showcase new techniques and that all-important following. As a part of Facebook too, being on Instagram will only increase rankings and provide the ability to update Facebook as well.